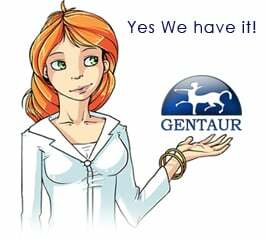 Gentaur antibody-antibodies.com The Marketplace for Antibodies : Mutations in CNGA3 impair trafficking or function of cone cyclic nucleotide-gated channels, resulting in achromatopsia. CNGA3 encodes the A-subunit of the cone photoreceptor cyclic nucleotide-gated (CNG) channel, which is a crucial component of the phototransduction cascade in cone outer segments. Mutations in the CNGA3 gene have been associated with complete and incomplete forms of achromatopsia (ACHR), a congenital, autosomal recessively inherited retinal disorder characterized by lack of color discrimination, reduced visual acuity, nystagmus, and photophobia. Here we report the identification of three novel CNGA3 missense mutations in ACHR patients: c.682G>A (p.E228 K), c.1315C>T (p.R439W), and c.1405G>A (p.A469 T), and the detailed functional analyses of these new as well as five previously reported mutations (R283Q, T291R, F547L, G557R, and E590 K), in conjunction with clinical data of patients carrying these mutations, to establish genotype-phenotype correlations. The functional characterization of mutant CNGA3 channels was performed with calcium imaging and patch clamp recordings in a heterologous HEK293 cell expression system. Results were corroborated by immunostaining and colocalization experiments of the channel protein with the plasma membrane. Several mutations evoked pronounced alterations of the apparent cGMP sensitivity of mutant channels. These functional defects were fully or partially compensated by coexpressing the mutant CNGA3 subunit with the wild-type CNGB3 subunit for channels with the mutations R439W, A469 T, F547L, and E590 K. We could show that several mutant channels with agonist dose-response relationships similar to the wild-type exhibited severely impaired membrane targeting. In addition, this study presents the positive effect of reduced cell culture temperature on surface expression and functional performance of mutant CNG channels with protein folding or trafficking defects.